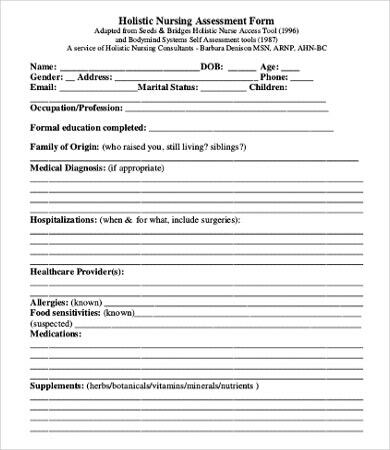 Perhaps you are a nursing student and are in search for nursing assessment templates to use in school or health centers. In our website, we provide various templates of this kind that may just be what you are looking for. Nursing assessment is the gathering of patient information that involves physical and mental status. Nursing assessment, much like any other assessment, involves the evaluation of quality and capability of someone or something. One such type would be Skills Assessment, which is the evaluation of an individual’s ability to do tasks and rate them accordingly. Like this template, there are others that you could check out and be your guide. 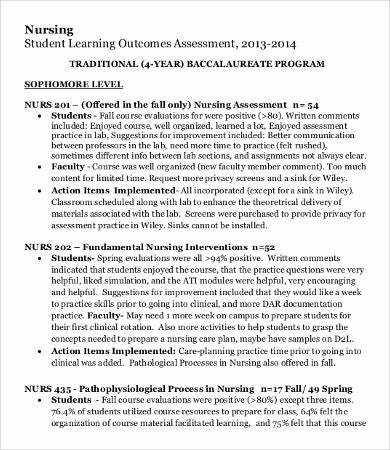 A nursing assessment is the first step in the nursing process. 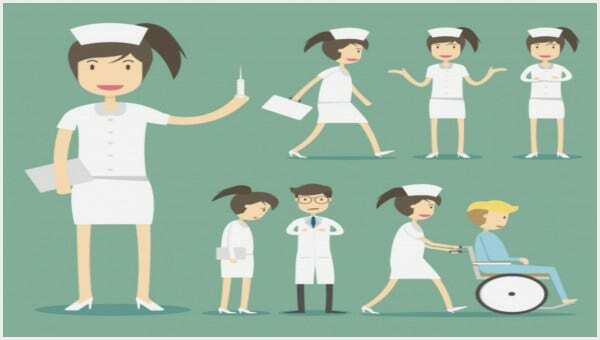 The nursing process is an organized set of processes used by nurses to provide optimal care for the patients. This type of assessment cannot be done by or delegated to unlicensed, although nursing students tend to practice doing such, with the help of clinical instructors. It is a very broad scope that focuses on the entire body system. Learning needs. This involves identifying deficiencies knowledge and serves as a basis of the learning needs of an individual that can be analyzed, thus guiding a teaching process for the individual by the healthcare provider. Competency. It is a continuous evaluation of development, knowledge, and skills of an individual to be able to perform activities. Physical. Typically means a thorough head-to-toe assessment of the patient. Admission. Before a patient is to be confined in a healthcare center, statistics and physical assessment should be done to serve as a baseline for the necessary actions to do next and for patient records. Holistic. A holistic approach toward the patient involves the physiological, sociological, cultural, and spiritual needs; and nursing implementations are derived from those information gathered from the patient. 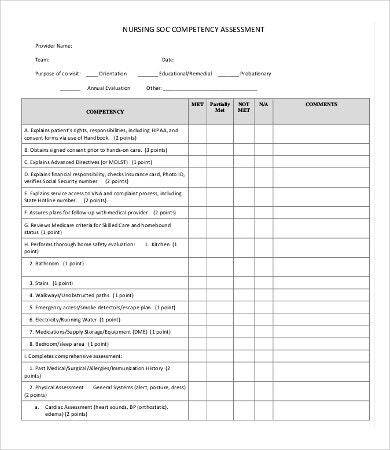 Apart from our nursing assessment templates, we also offer assessment templates of other kinds, such as Impact Assessment and Project Assessment for future planned projects. Assessment is a key component in the planning and implementation of nursing procedures for the welfare of the patient’s health. It incorporates the normal versus the abnormal body physiology. The changes, along with critical thinking, allows the nurses and medical staff to prioritize and identify proper medical procedures for the well-being of the patient. Handling one’s life is never easy. It entails proper delegation, analyzing, and proper assessment. And here is where our templates come in. 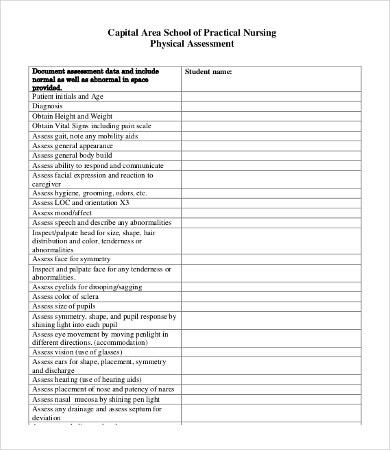 These nursing assessment templates are accessible by visiting our website and are reusable. 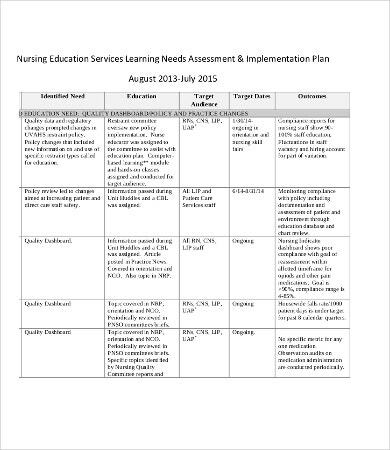 There may be a number of nursing assessment templates out there, but you can be sure that our templates provide guidance that you may need into filling up the correct facts. 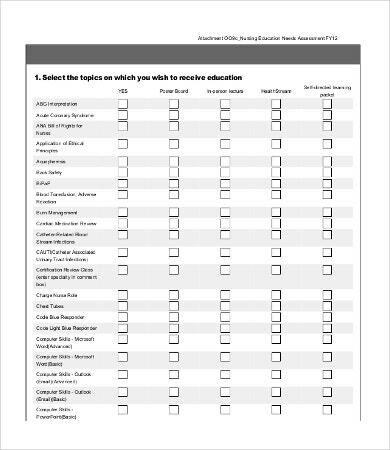 How about checking out some other assessment templates we offer, such Self Assessment?